Evan Transportation offers dependable shipping services that get your shipment where it needs to be, when it needs to be there, and in the same condition that it left your hands. We do this because it builds business both for us and for you. Building a relationship with a customer takes time and dedication. Your business has to offer quality service consistently in order to maintain customer relationships and build trust. Delayed shipments can mean the end of business from a customer, which isn’t good for you. That’s why when you choose Evan Transportation, you know you can count on a satisfied customer. We strive to offer the best shipping services, so you can focus on maintaining customer relationships and building new ones. Customers who see that you run a trustworthy and reliable business will not only be satisfied, but they are also likely to recommend you to others who may be interested. The value of word of mouth can’t be understated. Choose Evan Transportation to deliver your shipments on time, and help solidify the reputation of your business. 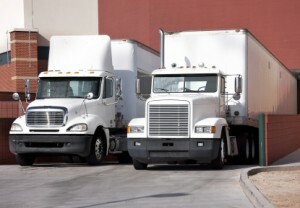 What’s the Difference Between a Semi-Truck and a Semi-Trailer? A lot of names are used interchangeably to refer to a cargo carrying truck. Semi-truck, semi-trailer, tractor-trailer, 18-wheeler, the list goes on. Though everyone understands that you’re referring to a truck when you use any one of these terms, they actually don’t all mean the same thing. A semi-truck refers to the actual truck, which contains the engine. A semi-truck can run on its own without a trailer, in fact you’ve probably seen semi-trucks on the highway occasionally without a trailer in tow. This brings us to our next term, semi-trailer. A semi-trailer is hauled by the semi-truck. It has wheels but no front axle and no engine, so it can’t move on its own. The trailer contains the cargo which is being hauled. The semi-truck also supports a lot of the weight of a trailer when the two are attached. 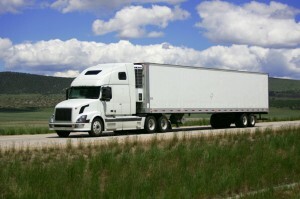 Tractor-trailer and 18-wheeler both refer to the combination of a semi-truck and semi-trailer. Together, they form a tractor-trailer unit, also referred to as an 18-wheeler, owing to the number of wheels present on the unit as a whole. Posted in Semi Trucks | Comments Off on What’s the Difference Between a Semi-Truck and a Semi-Trailer? What’s the Difference Between Diesel and Gasoline Fuel? Diesel and gasoline actually aren’t very different from each other. The main differences can be found in their consistency, and the type of engine they require to work. Diesel and gasoline come from the same source, which is crude oil. Crude oil can be refined into different fuels with different consistencies. Diesel fuel is refined to a thicker, more oily consistency, while gasoline is refined to a lighter consistency. Gasoline is also more flammable than diesel, and requires less heat for combustion. Because of their different characteristics, diesel and gasoline require different types of engines. Gas engines mix gas and air, making a vapor which is compressed by a piston, and then ignited by a spark plug. Diesel engines use a piston to compress air to a high pressure and temperature. When diesel is injected, it combusts due to the heat of the air. Diesel engines are generally more fuel efficient because diesel is thicker than gasoline, which means it’s more energy-dense. Diesel combustion emits less carbon dioxide and carbon monoxide than gasoline combustion, but it also emits more particulate matter. Diesel engines are more expensive to build and to buy because of their high compression nature. Though the stereotypical image of diesel is of a dirty, black exhaust, advances in diesel refining techniques have improved the cleanliness of diesel significantly in recent years. Posted in Fuel | Comments Off on What’s the Difference Between Diesel and Gasoline Fuel? Historically, diesel fuel was usually cheaper than gasoline, with the exception of during the winter months when heating oil demand translated into higher diesel prices. However, diesel has been as expensive or more expensive than regular unleaded gasoline since September 2004 for a few reasons. For one, international demand for diesel fuel and other distillate fuel oils has increased due to economic growth between 2002 and 2008, and global refining capacity has not quite been able to keep up with the high demand, according to the Energy Information Administration. In addition, “The transition to less polluting, lower-sulfur diesel fuels in the United States affected diesel fuel production and distribution costs.” Finally, the Federal excise tax for on-highway diesel fuel is 6 cents higher than the gasoline tax. In some good news for truckers, the price of diesel has slowly been dropping across the country, albeit slowly. 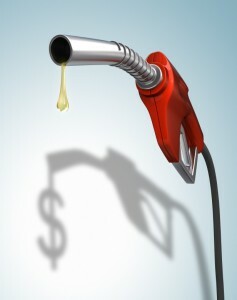 According to overdriveonline.com, the national average for the price of diesel was 16 cents lower at the end of September 2103 compared to September 2013. Diesel also saw a decline in price for 3 weeks in a row in September. Posted in Freight Shipping | Comments Off on Why is Diesel Fuel More Expensive than Gasoline? With the government shutdown in full swing, many federal departments have had to reassess their resources and allocate them for an uncertain future. 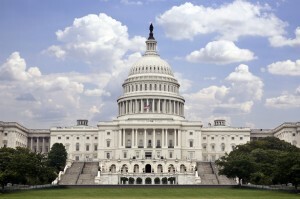 However, according to overdriveonline.com, “Enforcement of trucking regulations and the operation of the Federal Motor Carrier Safety Administration [FMCSA] will not be affected the federal government shutdown.” The funding for the FMCSA and the the Federal Highway Administration is not contingent on annual funding appropriations from Congress, but rather multi-year appropriations bills and the Highway Trust Fund. The Department of Transportation, which oversees these two departments, says it has enough funds to continue operating normally, albeit only “for a limited period.” No employees of the Highway Administration or the safety administration are being furloughed, but a third of the Transportation Department’s employees are being furloughed. As a result of the massive furloughs of non-essential federal employees, truckers have reported considerably lighter traffic in many cities.